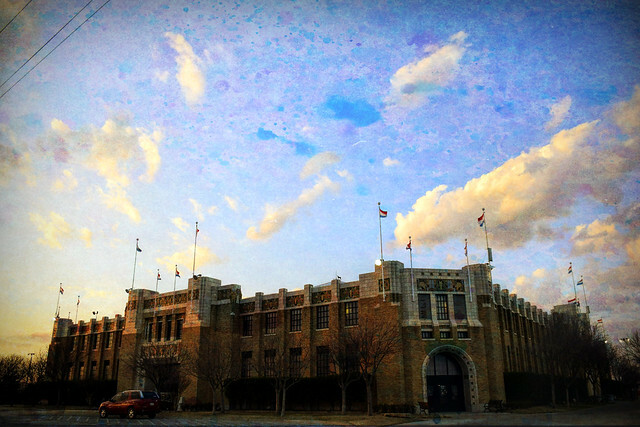 The Oklahoma sky over the art deco styled Pavillion in Tulsa. This entry was posted in Skywatch and tagged Art Deco, Digital Art, Oklahoma, Skywatch Friday, Tulsa on March 3, 2016 by Alan Bates. Fly those flags – I like the edit. that is ab Art deco sky indeed! Like a beautiful impressionistic painting. Lovely scene. The sky and clouds are pretty, the pavillion is a beautiful building. Happy Skywatching, enjoy your weekend! That’s a cool-looking sky! Whatever filter or edit you used, I like the effect!! I love the texture that you used here. Very nicely done Yogi. One of my favorite buildings is all of Tulsa. I grew up just about a mile from that building. Have a blessed week-end. That’s an amazing photo. Are those clouds real ? Love the architecture and the effect, well done! Perfect sky with that building (which was a surprise to me the first time you showed it). I don’t know enough about Oklahoma as I think I’ve told you too many times. What a great building, and an awesome sky too.